Welcome to Hiking Campania! I write about and lead beautiful and exhilarating walks in the hills, mountains and coastal regions of Campania, Italy. 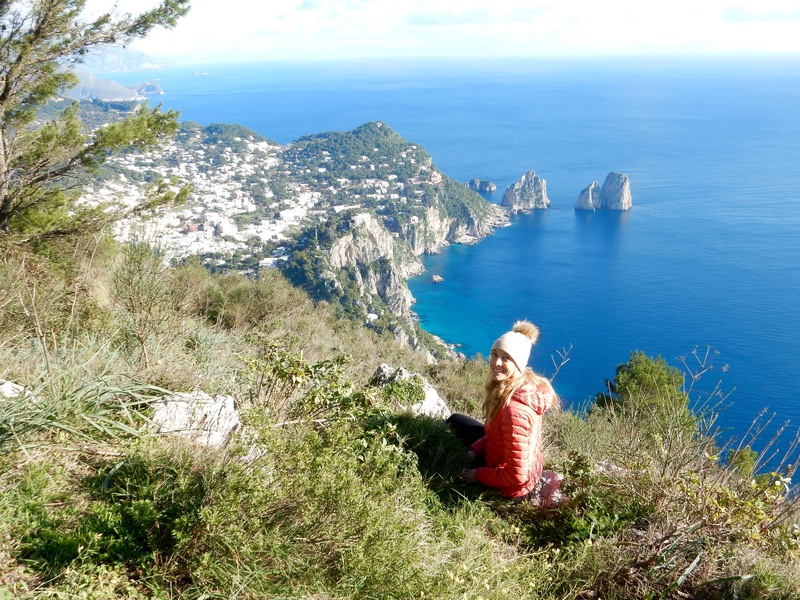 I moved here in 2014 and Hiking Campania started as a challenge (finding green space for my two boys) and then became a journey – as I sought to understand my new home, one walk at a time. Campania is especially interesting and unusual in Europe, because although it has miles of stunning wilderness, very little is properly mapped or set up for hiking tourism. So I’ve made it my mission to find all the best walks in the region – both on and off the tourist trail. I write about them and when I can, lead groups along the routes. For me, walking is pure ‘soul food’. As Diogenes said in the 4C BC, ‘solvitur ambulando’ – ‘it is solved by walking’ and it’s true, there are few times when a long walk won’t provide perspective on life, renewed energy and a feeling of happiness. On my travels I’ve found the authentic Campania; learnt about ancient traditions, hollered with joy at breathtaking vistas, visited historic villages, seen archaeological treasures and startling geological formations. But most importantly, I’ve met wonderful characters along the way. And it’s talking to them that I’ve really started to understand this place I now call home. My aim is simple – I want to make it easy for you to get out and explore these spectacular and unspoilt places too. The views are breathtaking and even better, you’ll probably have them all to yourself. Join me on a Guided walk or use my Walks info to create your own adventure. For more ideas, check out my Resources page. Hey Liz! Its strange but this website is uniquely connecting to me…I even use the phrase “Solvitur Ambulando” I told my wife I want it as the family motto. I am an American living in Campania…Carano to be exact and I spent a bunch of time in Cellole. I walked the Camino one year…the next year walked from Rome to Jerusalem and ended up back in Italy afterwards. How did you come to be here?